You already kinda suspect that your little one is secretly a creature of the night. And by that we mean nocturnal. Because let's face it. That's when they seem to be the most active, alert, energetic, and of course, in need of your attention. It's almost as if they live for the night! That's why there's no doubt that your adorable infant's spirit animal is a bat (the cute, furry, non blood-sucking kind, it goes without saying). So why not let them have a pair of equally adorable wings? Baby's first Halloween is the perfect occasion to do that with this painfully cute Blaine the Bat Infant Costume. And whether they're awake or asleep for their first costume party (this will be the first time out of the cave, so all bets are off! ), your little batling will be the star of the big night. 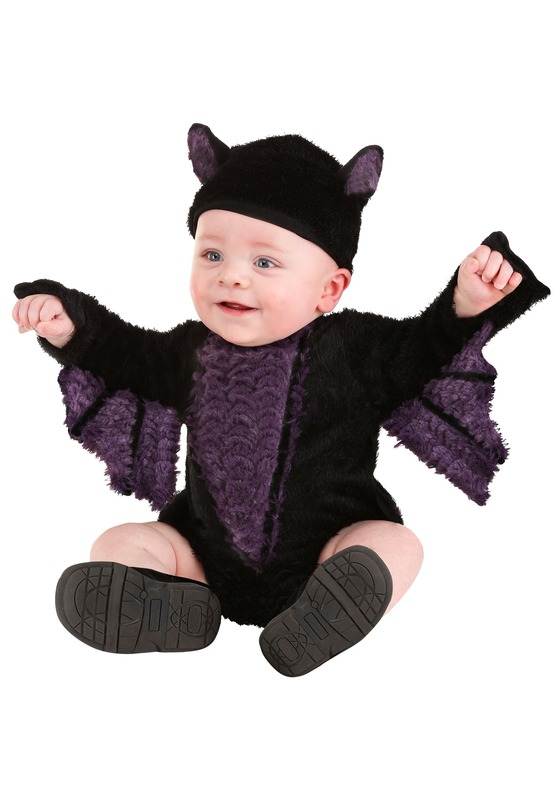 No one will be able to resist the charm of their furry little ears, which are attached to the skullcap, and the tiny bat wings, which are part of the faux fur-covered romper. So suit your baby up in this adorable costume and enjoy a night in answering the door for trick-or-treaters, or a night out at the big Halloween party. Because one day, your little one will grow up and starting hanging out in their friends' caves. But it's not too late to make your first Halloween as a family... or as a "colony," which is actually the name for a group of bats... a truly memorable one with the Blaine the Bat Infant Costume!